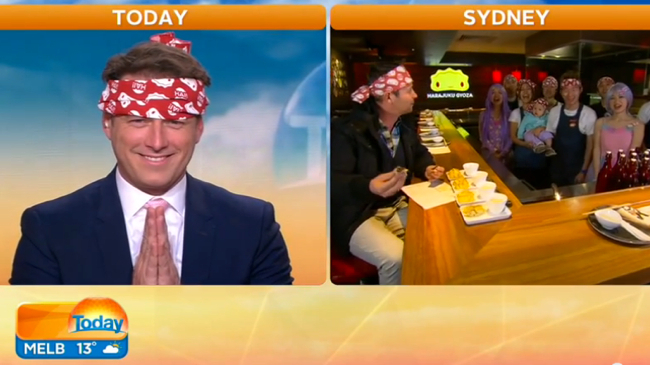 Giant Japanese Souffle Pancakes are back at Harajuku Gyoza Beer Stadium in Darling Harbour. Launched on International Pancake Day (Tuesday, March 5), our new fun and yum Souffle Pancakes are available in three flavours! Matcha & Azuki, Cream Cheese top with Brown Sugar Pearls and the crowd favourite Crème Brûlée. 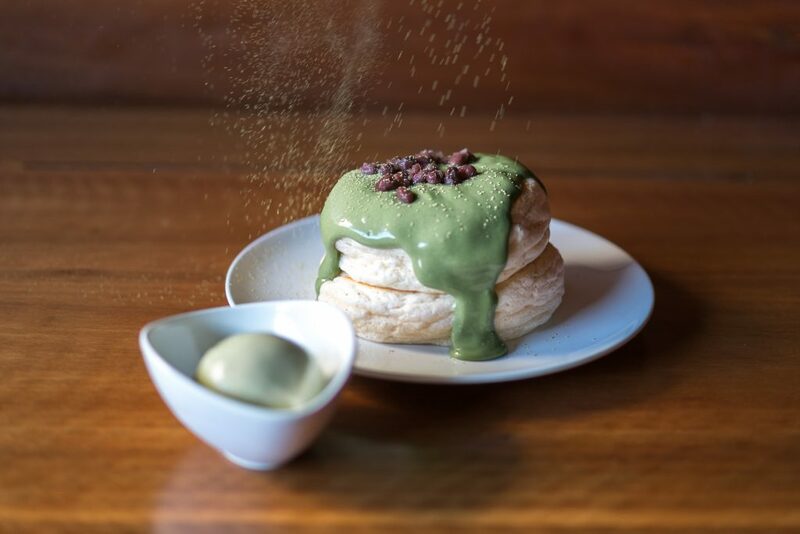 The limited edition Souffle Pancakes are available only at Harajuku Gyoza Beer Stadium Darling Harbour on Saturday and Sunday’s 11 am – 3 pm. 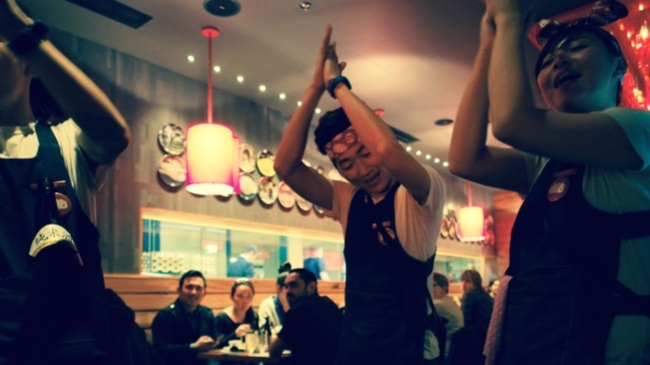 Please book a table here or see our friendly Darling Harbour team for availability. There is a limited number of pancakes available per hour. Food, food and more food. There really isn’t a better reason to head to the wonderful city of Brisbane than to treat your tastebuds to a magical experience! We’ve made sure to find you some of the very best spots you really don’t want to miss out on in Brisbane. Get ready to indulge… and click here to read more! As seen in Flightnetwork’s Article – Delicious Food Vacation in Brisbane. 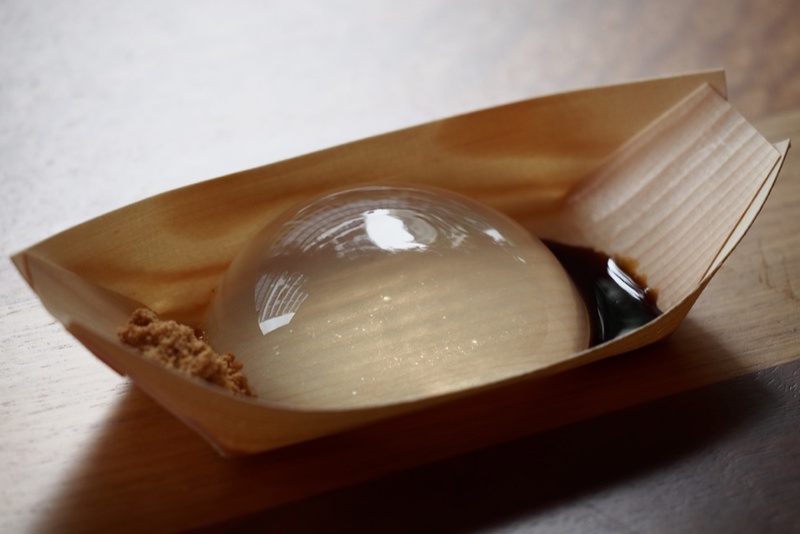 The famous Raindrop Cake created by Darren Wong in New York is now being served in Australia at Harajuku Gyoza. The Harajuku Gyoza version is made with spring water and served with kinako, ground sesame and kuromitsu. We are also serving a fruit version with fresh strawberry, raspberry and blueberry. We serve it with condensed milk, kinako and crushed peanuts. Please ask if available at your Harajuku Gyoza. Irrashaimase! 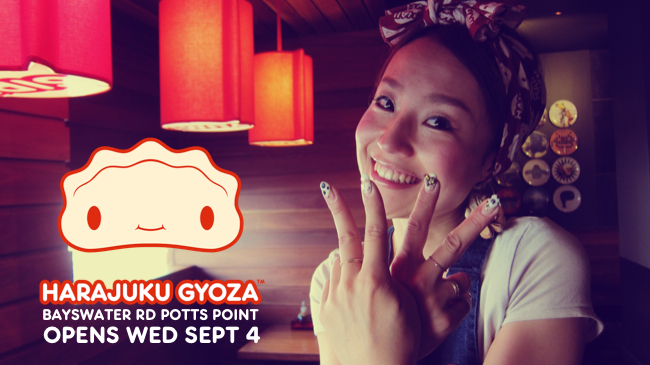 Our opening day for the new Harajuku Gyoza in Bayswater Road, Potts Point is Wednesday September 4. 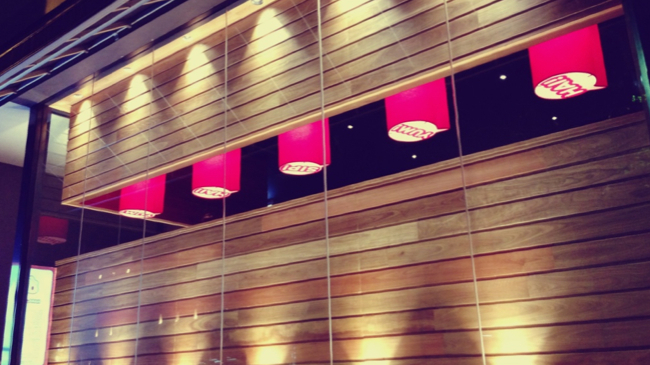 We will be open from lunch to dinner, midday to late, 7 days. Please come. Please come. Share with your friends. We want you all to be there for the yum and fun. 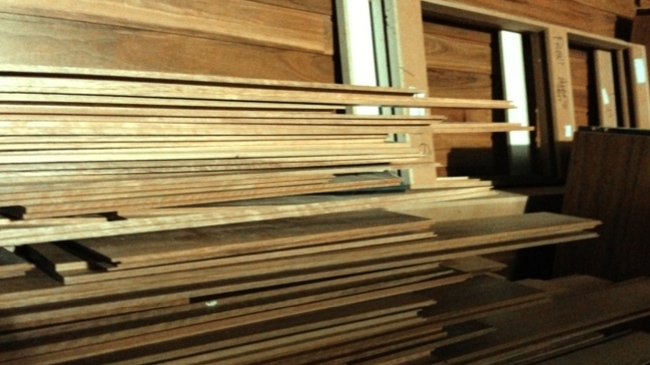 The new Potts Point Harajuku Gyoza will have lots of timber, lots of colour, some Japanese pop and Tokyo style. Right now we’re hammering and sawing and tiling and painting. 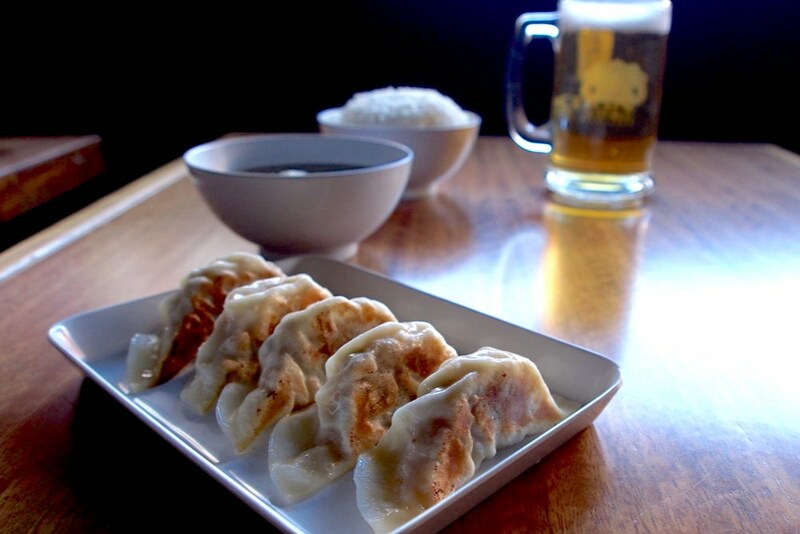 But it won’t be long now until Sydney has its first crazy cool izakaya gyoza bar. We think we will be open sometime in early September. So keep your eye on Bayswater Road in Potts Point and keep your appetite because the yum and fun is about to come. 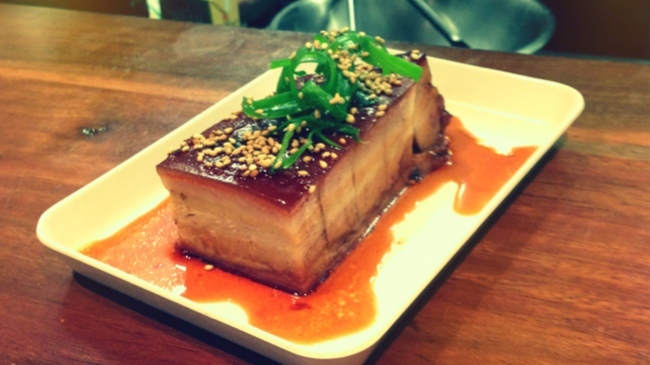 Our Pork Belly Kakuni has proven quite popular. 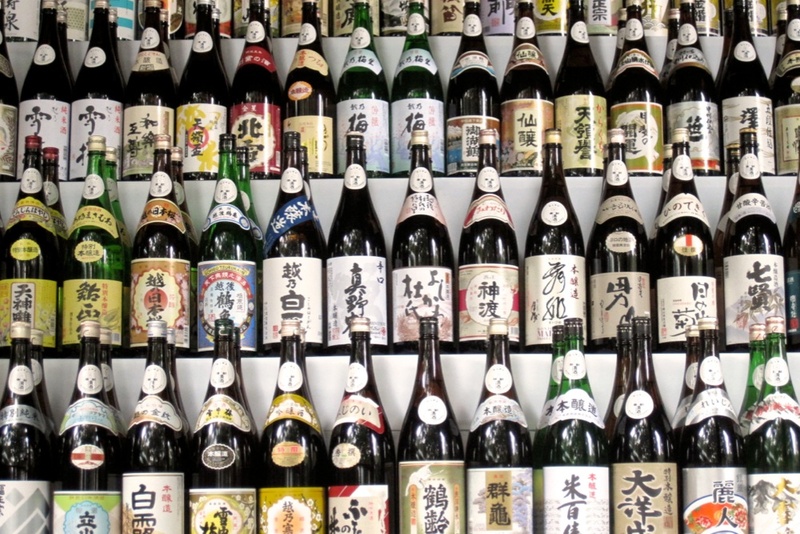 It’s a special new Izakaya meal on our menu. But be quick. We expect many sumo in for lunch and they may not leave any for you.